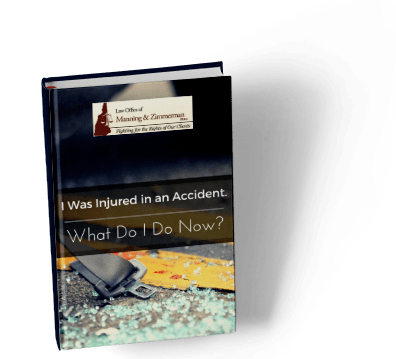 If the insurance company does not meet the settlement range you and your NH car accident lawyer have determined would be fair to compensate you for your losses, you may decide to proceed with litigation. 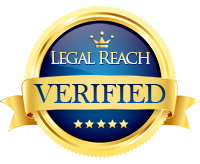 However, there are different strategies your attorney may recommend based on the particular circumstances of your case. Your NH car accident lawyer at the Law Office of Manning & Zimmerman, PLLC may recommend that you wait before quickly pursuing a lawsuit against the responsible party. He or she may make such a recommendation for a variety of reasons, such as if you are about to have surgery and it is unclear what the full extent of your damages are going to be. However, if your NH car accident lawyer and the insurance company are estimating the value of your claim at numbers that are in stark contrast to each other, litigation may be the only way to pursue a claim for the value you believe is fair. The lawsuit names the responsible party who was liable for the accident and caused your damages. There are several reasons why a person may pursue litigation in a motor vehicle accident claim. For example, the insurance company may believe you were responsible for the accident, or at least partially responsible for the accident. Alternatively, the insurance company may believe you are exaggerating your injuries or asking for more money than your claim is worth. An internal company policy may resist paying on claims worth a certain value. The injury claims process can be complex, and an experienced New Hampshire personal injury attorney at the Law Office of Manning & Zimmerman PLLC can help. The insurance adjuster is usually the first point of contact between the individual involved in the crash and the insurance company. He or she may call to set up a time to discuss the details of the crash with the individual. We suggest that you consult an attorney before meeting the insurance adjuster and before giving a recorded statement. Once he or she reviews the circumstances involved in the crash, he or she makes a determination whether the insurance coverage is applicable and the amount of coverage is available for the claim. In order to substantiate a certain amount of damages, you may be asked to provide documents regarding your losses. For example, your New Hampshire personal injury attorney may request that you provide medical records, medical bills, photographs of any car damage, the police report, etc. A New Hampshire personal injury attorney at the Law Office of Manning & Zimmerman PLLC can explain that there are times when an insurance company may conduct a formal investigation particularly if the crash involves multiple vehicles and potential liability between multiple parties. The claims adjuster will try to assess the distribution of fault based on the evidence. The claims adjuster may complete a formal report of fault. The amount of coverage that will apply and potential increases in premiums may be based on this report. Each party involved in the crash may have a different opinion regarding fault and liability. In fact, insurance companies have an incentive to minimize how much money they have to pay out on a claim. In addition to providing legal assistance to individuals who are asserting a claim against another driver with his or her own insurance policy, a New Hampshire personal injury attorney may help clients who have disputes with their own insurance companies due to not receiving proper coverage. For a free consultation, contact the Manchester injury attorneys at the Law Office of Manning & Zimmerman PLLC. We may be reached at (603) 624-7200, by email at info@MZLawNH.com, or by using the “contact us” or chat feature on our website.